There are no shortages of weather apps on the App Store. Some give you all the metoreological information that you could possibly ask for, others concentrate on delivering a limited amount of data in the most visually appealing way possible. 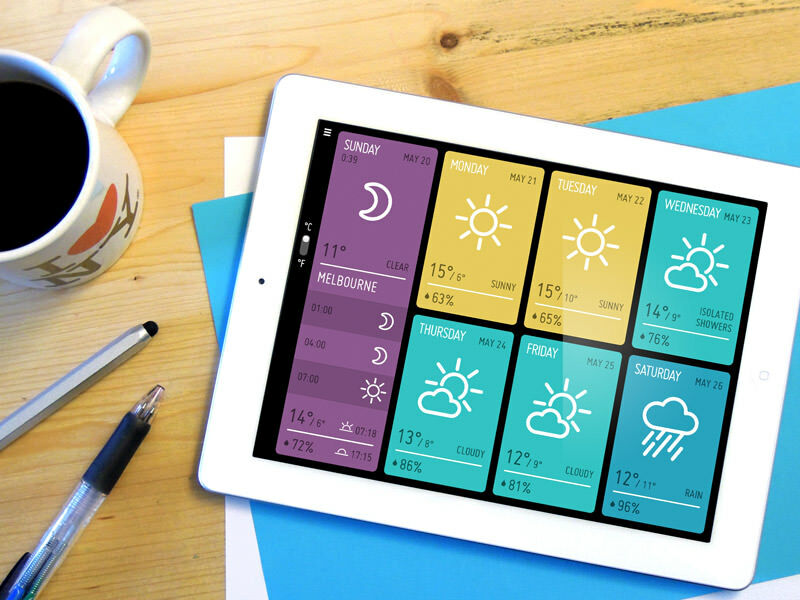 Minimeteo, a new iPad app from Ministry of Simplification, sits right in the happy medium between information overload and full on design, delivering a slick yet minimal dashboard of the weekly weather in your area by using a simple combination of icons and colours. Upon loading, Minimeteo displays the current time and asks your for location. 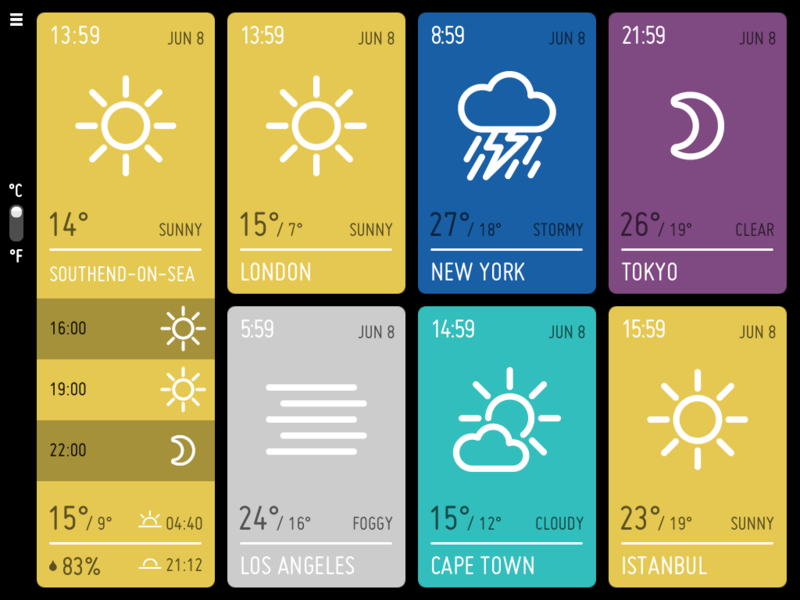 Once submitted, the app will then provide a full weather outlook for the week ahead, also displaying the temperature, the estimated weather changes in 3 three-hourly spells later that day. Also present are the low and high temperatures for that day, the likelihood of rain and when the time when the sun rose and when the sun will set. Hourly data is limited to the current day, but weekly forecasts will still be relevant enough for you to dress accordingly and see how warm it will be in the coming days. Minimeteo displays temperatures in both Celsius and Fahrenheit, ensuring it is relevant no matter where you live. I tested the app on an iPad 2 and the layout was snappy and vibrant, the app will really pop out of the screen on the new iPad. It has a few kinks, like the annoying refresh sound that I couldn’t seem to turn off and there are also reports that the app interferes with background audio when loaded. That said, the app’s creators say that Minimeteo is a “highly experimental app” that you can expect regular updates, which they note are coming soon.